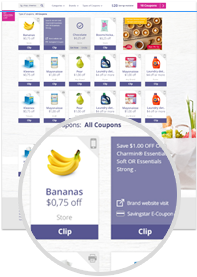 We found all of the Snacks & Sweets coupons available online and put them all on this page so it's super easy to find and print the coupons you want! NEVER MISS ANOTHER SNACKS & SWEETS COUPON! Save $0.75 when you purchase ANY ONE (1) Ritz Crackers. Valid on 7 oz or larger, excludes RITZ Crisp & Thins and Toasted Chips. Save $0.75 when you purchase ANY ONE (1) Ritz Crisp & Thins or Toasted Chips. Valid on 7 oz or larger, any variety. Save $0.75 when you purchase ANY ONE (1) Select NABISCO Multipacks. Valid on any variety of NABISCO Multipacks, 7oz. or larger. Save $0.75 when you purchase ANY ONE (1) Newtons. Any variety. Save $1.00 when you purchase ANY ONE (1) Atkins® Protein Wafer Crisp Bars. Any variety. Save $1.50 when you purchase ANY ONE (1) Atkins® Meal Bars or Snack Bars. Excludes Atkins® Protein Wafer Crisp Bars. Save $1.50 when you purchase ANY ONE (1) Atkins Endulge® Treats. Valid on any 5 pack. Save $0.50 when you purchase ANY ONE (1) Welch's® Fruit Rolls. Valid on 6 ct boxes. Save $0.50 when you purchase ANY ONE (1) Big Chewy NERDS. Any variety. Save $0.50 when you purchase ANY ONE (1) Welch's® Fruit 'n Yogurt™ Snacks. Valid on 8 oz or larger bags or boxes. Save $1.00 when you purchase ANY TWO (2) Welch's® Fruit Snacks. Valid on 8 oz or larger bags or boxes. Items must appear on the same receipt.